Why is keeping your brand colours consistent so important? 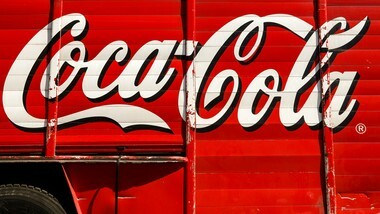 Keeping your brand colours consistent is important but can be difficult to achieve. 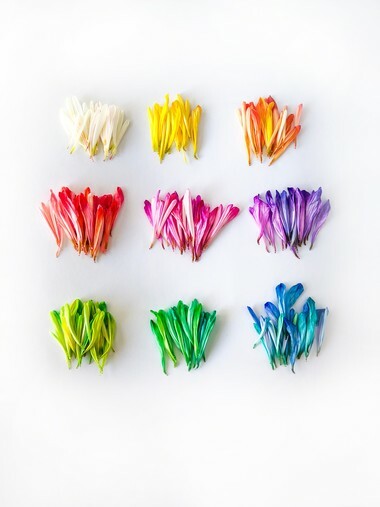 Colours make up a vital part of your company’s brand elements and can affect how your customers feel about your brand. This blog will explain why keeping your brand colours consistent is so important and some hints and tips on how to achieve it. A brand’s colour palette can strengthen a brand and improve customer recognition. It can also be used as a tool to tap into consumer emotions and purchasing decisions and to help control how the brand is perceived. To illustrate the power of colour in branding, take a moment to think about five famous brands and the colours that you immediately associate with them. Now imagine what would happen if you swapped these colours around. It might give you quite a strange visual sensation... It’s not normal to see the Starbucks Mermaid red. Quick aside: If you find this idea entertaining there is a great article here from Printsome where they look at famous logos to see how they look with different colours. These are some extreme examples as the colour has been changed completely, but brands can also suffer where they have inconsistencies and colour variances across different media. 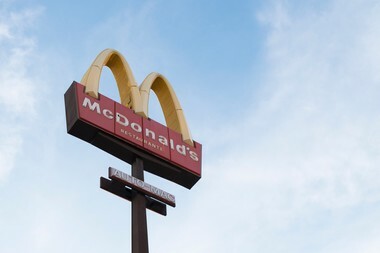 Those emotions that you feel when you see McDonald's 'Golden Arches' have been cultivated over years of careful and consistent use of colour. So we know that it is important to maintain consistency whenever your brand colours are being used but what does that mean in practice? What are the different colours formats and where are they used? First a bit of background on the different colour formats that you might come across. Colours can be defined in different ways. The first step is to separate the possible colour formats into print classifications and digital classifications. CMYK and Pantone are for print and HSL, RGB and Hex codes are digital. The reason for the difference between print colours and digital colours is because the way our brain sees the colours is different. This is because screens emit light whereas print media (paper, packaging, material etc) does not. When light enters the human eye after reflecting off a piece of paper for example, the colour we see depends on which wavelengths of light are absorbed by the surface and which wavelengths are reflected by the surface into our eye. If all wavelengths of light are reflected by a surface, the surface appears white. The more wavelengths that are absorbed (or subtracted) by the surface, the darker the surface appears. In digital it works the opposite way around as the screen emits rather than absorbs the wavelengths of light. So digital colours are additive and print colours are subtractive. In print you see the reflection of the light that is not absorbed by the paper. On screen you see the light that is emitted. If you want more detail on this you can read our more geeky blog on the science behind colour codes here. 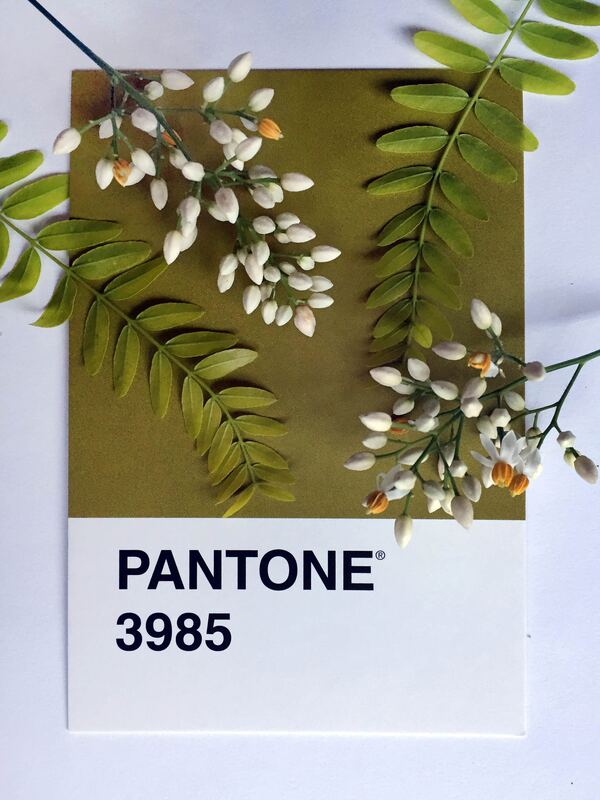 In print, Pantone runs the Pantone Matching System (or PMS) which means that, if you use Pantone’s system, you can keep your colour consistent across all your print work. Pantone also offers a huge variety of colours (over 1800) so there will be plenty to choose from. Its disadvantage is that it tends to be more expensive to print than other less flexible options. Your Pantone colours also need to be matched to your choice of digital colours. This is often a manual process but Pantone offer systems for you to best match your chosen print colours to a set of digital colours as well. CMYK stands for Cyan, Magenta, Yellow and Key (black) and is another colour format system commonly used in printing. Your CMYK codes also need to be matched to your digital colours. RGB stands for Red, Green, Blue. These three “primary” colours of RGB are the building blocks for all other colours in the RGB format. Each primary colour is given a number between 0 and 255. If all three primary colours are set to 0, we get Black. If all three are set to 255, we get White. Hex is the most widely used colour format in web design. It is essentially exactly the same is RGB, except each colour’s three numbers are displayed more concisely. Instead of using a number between 0 and 255 for the amount of each primary colour, we use the hexadecimal representation of that number. HSL stands for Hue, Saturation, Lightness. This approach to encoding colours came around in an attempt to avoid some of the restrictions of working with RGB. The problem, in the RGB model, was that to get a darker or lighter shade of a colour you have to vary each of the red, the green and the blue values of the RGB code. The creators of HSL thought this change should be possible by changing just one element, for example, the brightness. Hue: This is the root colour in the colour spectrum. It takes as its value a degree between 0 degrees and 360 degrees, where Red is at 0 (and 360) degrees, Green is at 120 degrees, and Blue is at 240 degrees with the other colours fitting in-between. 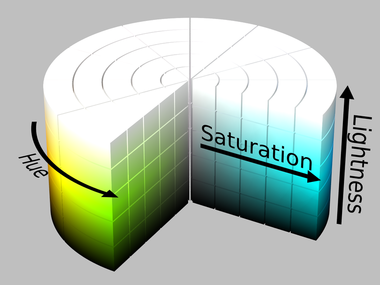 Saturation: This is a percentage value, made up of the ratio of Colourfulness to Brightness. In short, how colourful is the colour. Lightness: Also a percentage value, this is just like Brightness but relative to a chosen white point (whereas Brightness is an absolute measure). That’s quite technical so here’s a picture to show how that works. Why are there different colour codes? There are different colour codes and formats as the ways that colours are used differs. All of this should be taken into account when you start to build your brand. You need to think about how your colours will be used. It can be difficult to maintain your colour consistency if your brand colours are displayed in many different media. For example, different print backgrounds can lead to huge variances in colour unless managed very carefully. But at least this is within your control. In the digital sphere you will not know what screen resolution your end user will have or if they have applied a light adjustment technology like f-lux to their computer. All of these elements can distort your brand colours. Hex codes are generally considered to be ‘web-safe’ but will need to be matched with any print colours. What to do when establishing your brand? Now you know a little about how the different colour formats work you can think about how to implement a strategy for your brand. First piece of advice - hire a professional! They can give you the advice and help you need and help you build your brand toolbox. Make sure you choose colours that work across your different media so that you can maintain brand consistency. Select your colours carefully at the beginning so that you know they will work for you. Consider working with complementary colours - go back to the traditional colour wheels and try pairing your brand colours. 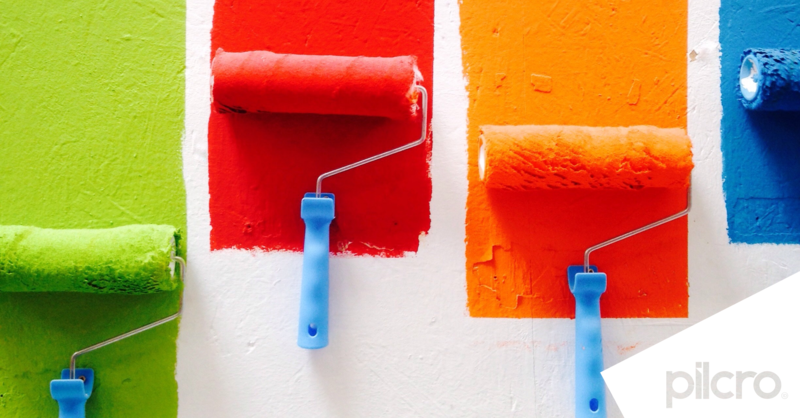 Choosing your brand colours, whether you do it yourself, use software or hire a professional is only one part of establishing your brand colours. You also need to make sure you maintain consistency whenever and wherever you deploy your brand. 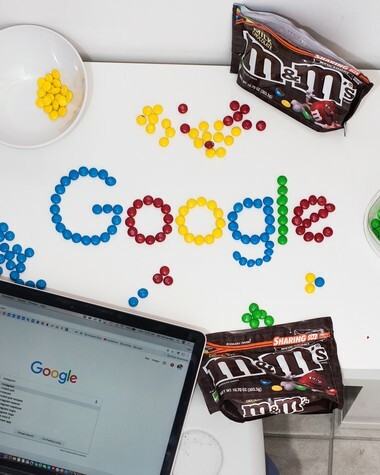 Here are some strategies that you can look at to help you maintain consistency across your brand even as your team grows. Check you have effective brand guidelines in place and that everyone knows how to find them - not just your design team. Review your internal and external processes and procedures. Invest in some good digital asset management software to manage your brand asset.